As a healthcare marketing director/executive, I am sure you are bombarded with digital transformation solutions every day. You use, manage or integrate with CRMs, EMRs, PRMs, SEO/SEM, CMS, Google Analytics, etc. etc. Add them all together and they equal more patients and higher profitability, right? When integrated correctly this can happen. At the end of the day, without a clear strategy of what you hope to achieve, it’s just a bunch of technology sitting in silos. First, you must acknowledge all the data in the world still has limitations. Start with one or two critical KPIs to your organization and you can dive deeply into these to establish a test. All C-suite executives want you to prove the ROI, but spreading your digital platform across all areas of your business at once will not allow you to tell your story in a dynamic and influential way. Test one or two things comprehensively, then package that learning into a narrative to show how success can scale across the organization. Second, dashboards are great when they are easy to understand. 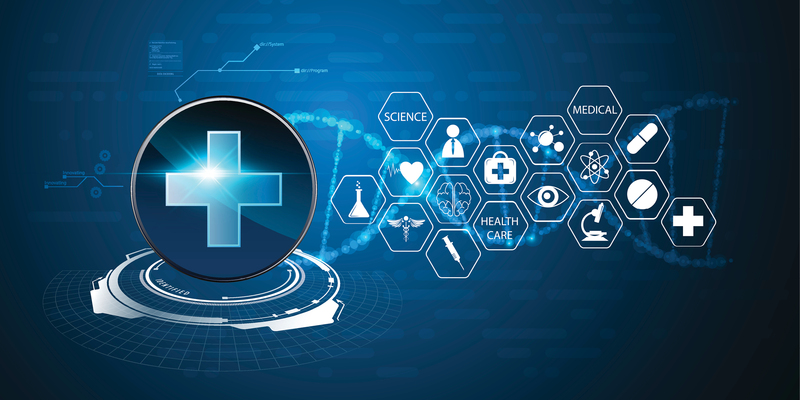 More healthcare organizations are moving to simple visual dashboards and backing that up with more sophisticated, detailed data when needed. 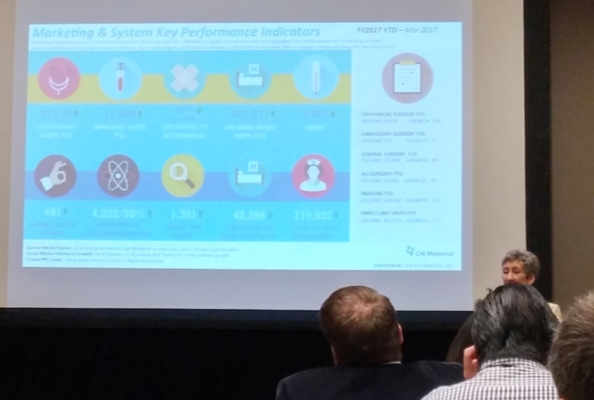 Here is an example from a recent healthcare conference I attended in Austin from CHI Memorial Hospital System. They track 10 simple items to tell the total story of their marketing efforts on a monthly basis including: inpatient and outpatient visits, likelihood to recommend, clinic visits, earned media, social engagement, online PPC, Chattanooga heart visits YTD and total patient encounters. Lastly, your efforts will not be successful if you can’t partner with finance and work together to determine the cost per patient acquisition across your service lines. Without this, trying to tie marketing dollars into bottom-line revenue is almost impossible. But it is doable. Ask yourself this question: If I started fresh today what would I do differently moving forward? Then work backward. It sounds daunting, but using some of the tools listed here can provide a roadmap to move forward. Remember the tools serve the strategy, not the other way around.